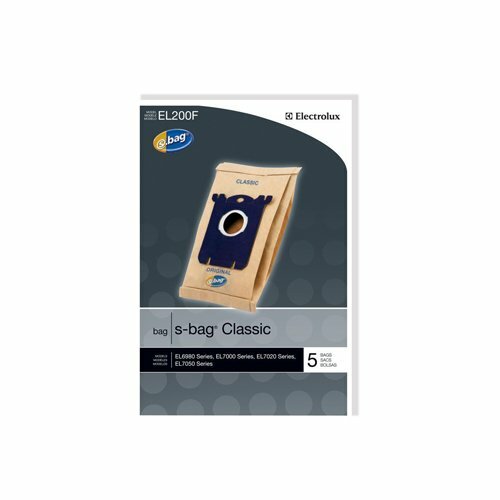 Electrolux S Classic Bag. 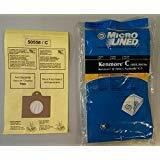 Designed for the Electrolux canister models #El6985, #El6988, #El6989, and #El7020. Comes with 5 to a pack. 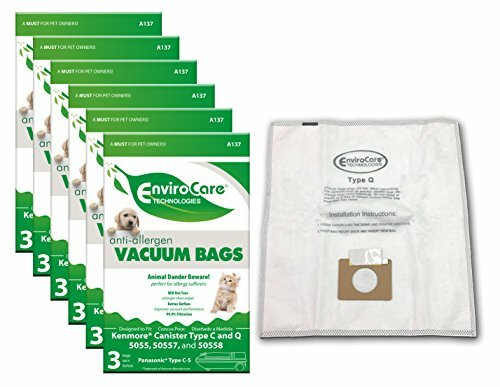 Sets the standard for clean with high filtration level, and smart, convenient design. 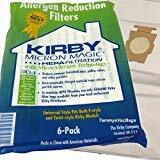 Provides less hassle for a happier, cleaner house. 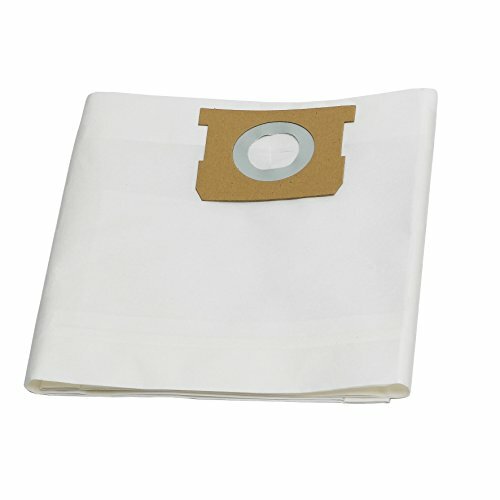 Disposable vacuum dust bag. 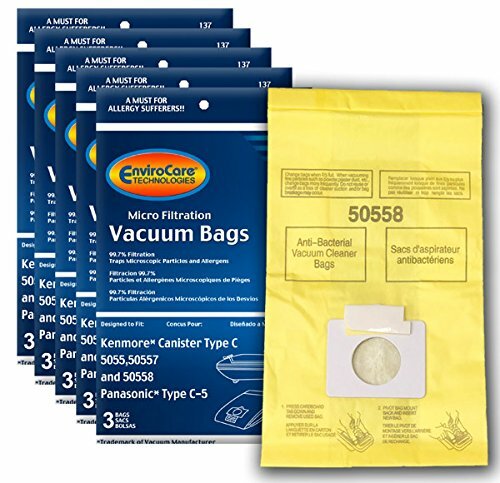 designed to fit : Panasonic vacuums using Type C5, C-5 bags original manufacturer bag part number: MC-V150M Kenmore original part number: 20-50558 Fits these models and others: Panasonic MC-V9600 thru MC-V9699 series Canister vacuum cleaners Sears Kenmore Canister Vacuum Cleaners: 20390, 20400, 20410, 20430, 20450, 21400, 21401, 21430, 21435, 21450, 21480, 21484, 21485, 22143, 22145, 22345, 22348, 22350, 22450, 22551, 23045, 23143, 23243, 23350, 23450, 23451, 23548, 23551, 23554, 23651, 23751, 23851, 23854, 23954, 24255, 24310, 24320, 24321, 24325, 24326, 24327, 24350, 24390, 24410, 24971, 24975, 24981, 24991, 24992, 25430, 26320, 26325, 26355, 26390, 26395, 26410, 26413, 26430, 26435, 26450, 26452, 26455, 26535, 27435, 27455, 28355, 28390, 38393, 28395, 28410, 28430, 28450, 29414, 29415, 29430, 29435, 29459. 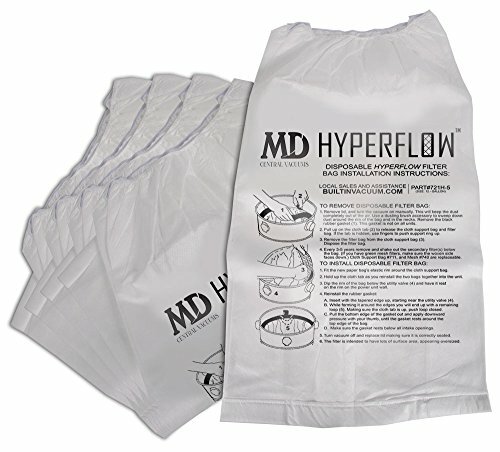 GENUINE OEM FILTRATION - PROTECT YOUR MOTOR - FEEL THE DIFFERENCE - Hyperflow central vacuum bags are the best choice for associated MD Central Vacuums. Incredible contruction and material that allow for excellent airflow dynamics and effective filtering all the way down to .3 microns. 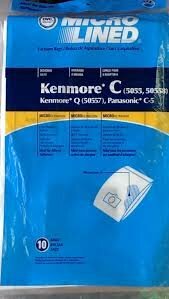 These are not typical paper bags but more like quilted felt yet very strong and durable. Don't settle for anything less! 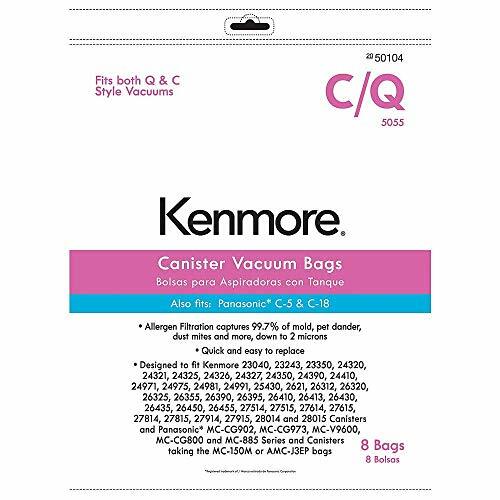 Silent Master, Modern Day, MD, Air-Flo, and Stor-Vac central vacuums will perform better and have longer motor life. Fits all top emptying vacuum units over 34 inches tall.